White Settlement ISD, home of the Fightin’ Brewer Bears, offers a hometown, community atmosphere with all the benefits of city living. WSISD is a growing suburban school district that serves more than 6,900 students who reside in the City of White Settlement and a portion of the City of Fort Worth. The district is comprised of nine schools and has nearly 900 employees. WSISD offers four elementary campuses including North Elementary which offers a STEAM (Science, Technology, Engineering, Arts and Math) Academy, a Fine Arts Academy, an intermediate school (grades 5 and 6), a middle school (grades 7 and 8), a high school (grades 9 through 12), and an alternative campus. Conveniently located west of downtown Fort Worth and just minutes from Lockheed Martin and the Naval Air Station Joint Reserve Base, WSISD is located in the Dallas/Fort Worth metroplex. WSISD is just minutes from Fort Worth’s Cultural Arts District offers a science and history museum, two world-renown art museums, and numerous performing arts facilities. 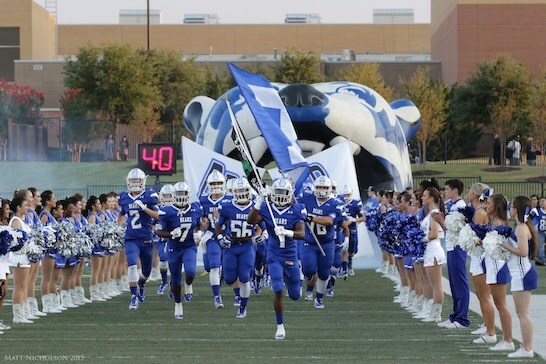 WSISD is a community rich in pride and tradition, and every family can become a part of the Brewer Bear tradition because the district offers Open Enrollment for kindergarten through 12th grade students. White Settlement ISD offers a Dual Credit Academy so students may earn college credit while taking high school courses as well as a 1-1 technology initiative so students have the latest technology and are prepared to compete in today’s global society. The district's growing Career and Technical Education program provides students with a variety of career avenues including Agriculture, Culinary Arts and Engineering. WSISD is the only district in Texas to offer an Unmanned Aircraft Systems (drone) program that enables students to receive Federal Aviation Administration certification. Brewer Bears have the opportunity to participate in a variety of award-winning athletic and fine arts programs including band and color guard, dance, theater, football, basketball, baseball, softball, volleyball, wrestling and more. A variety of Career and Technical Education (CTE) clubs are offered including Law Enforcement, FFA, Audio Video, and Animation. Approximately 200 Brewer High School students in CTE and fine arts programs competed at state competitions in 2018-19. WSISD is a Dell EMC Model School District. WSISD's team of Dell EMC certified educators work with staff to integrate the best practices in technology application, enhancing student collaboration, imagination and problem-solving that results in digital learners who are prepared for the 21st century. As part of the district's 1-1 technology initiative, all students in grades five through 12 have Dell laptops, and all elementary students use iPads in the classroom. In 2019-20, WSISD will provide touchscreen smart boards in the classrooms. White Settlement ISD continuously implements new programs and safety measures to enhance security. Recently, WSISD expanded its safety program to include the Standard Response Protocol and Avoid Deny Defend. WSISD has partnered with the Good Canine Academy to provide comfort dogs in our schools as well as dogs that search for gun powder residue. The district has its own police department, and facilities are continually improved and updated to enhance safety. WSISD fosters a culture of excellence in which ALL Brewer Bears are empowered to be innovators and leaders of tomorrow through engaging, hands-on instruction; the latest technology; and extra-curricular programs that meet the needs and interests of every student. The name of White Settlement was originally bestowed upon the community by the Native Americans. In the early 1840s ... when much of the territory was unsettled, the area became known as the “white settlement” because it was inhabited and settled by non-Native Americans, or “the whites.” Later, many of the Native Americans settled in the area, and it remains the name of the city that constitutes the eastern portion of White Settlement ISD. WSISD is now a community that prides itself on its culturally diversity.